Posted on February 27th, 2011 at 8:18 pm. 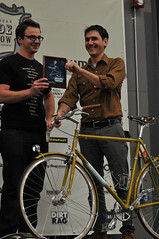 Matt Cardinal and Nate Meschke of Signal Cycles. 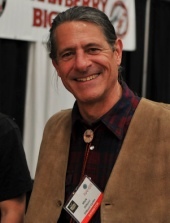 Mark DiNucci took home Best of Show. Posted on February 27th, 2011 at 6:24 pm. Posted on February 27th, 2011 at 10:46 am. 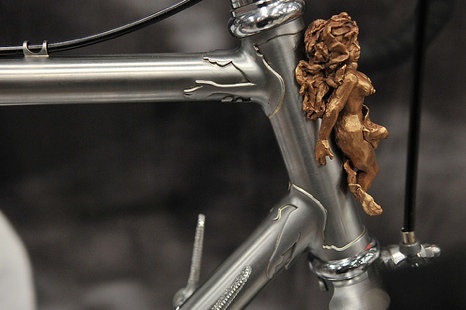 This head badge was created by Lisa Serotta for a Serotta bike built in the 1970s. Posted on February 26th, 2011 at 10:19 pm. 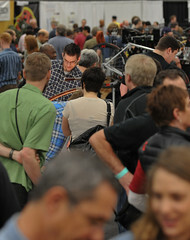 Huge crowds at the show today. Posted on February 26th, 2011 at 3:54 pm. “This is what I wanted to show you!” said this little guy. Posted on February 26th, 2011 at 12:20 pm. All eyes were on this Naked bike. 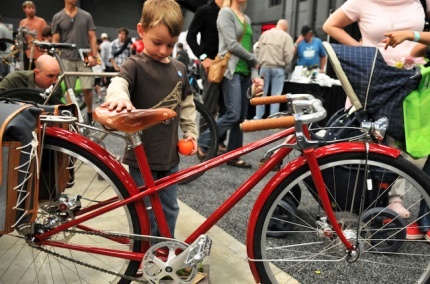 Been another busy day here at NAHBS. I’ll share more in-depth stories later today, but wanted to put up a quick slideshow of what I’ve seen so far. Posted on February 26th, 2011 at 9:54 am. 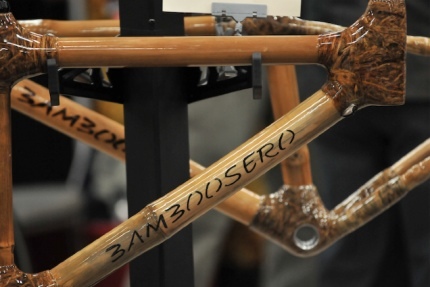 These bikes are made by entrepreneurs around the globe and sold through a company started by Craig Calfee. Posted on February 25th, 2011 at 8:11 pm. 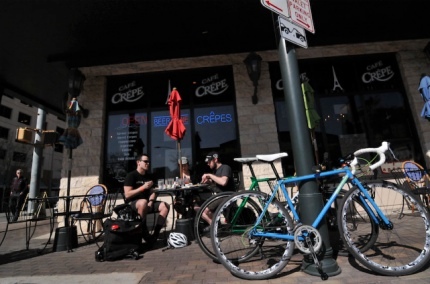 This is the scene around Austin right now — custom bikes and the people who ride them, enjoying the city’s charm while drenched in sunshine. For the sights inside the show, just scroll down. Posted on February 25th, 2011 at 6:58 pm. 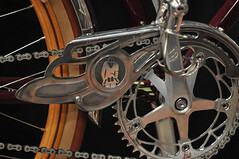 Beloved made two of these stainless steel “MJ’s Mortons” as a special edition for Mellow Johnny’s bike shop in Austin. Posted on February 25th, 2011 at 5:53 pm. It all started with two old chainguards. 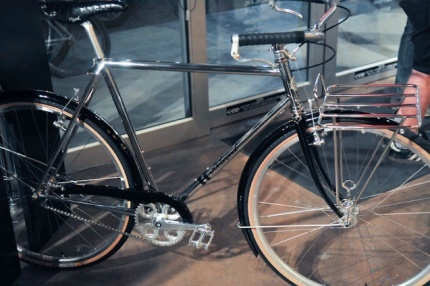 Brett Horton is one of the most well-known collectors of vintage bicycles and racing ephemera in the world. For the past 25 years he has amassed a unequaled collection of 15,000 objects and 20,000 photographs.